The Gloucester Skating Club is proud of all skaters. Read below about the success of our featured members and athletes. Competed at the Skate Ontario STARSkate Championships - Pre-Juvenile U11 Women. Competed at the Skate Ontario STARSkate Championships - Juvenile Men U14. Competed at the Skate Ontario STARSkate Championships - STAR 5 U10 Men. Competed at the Skate Ontario STARSkate Championships - STAR 5 +13 Women. Competed at the Skate Ontario STARSkate Championships - Juvenile Women U12 - 2nd & STAR 9. Competed at the Skate Ontario STARSkate Championships - Juvenile Women U14 & STAR 9. Competed at the Skate Ontario STARSkate Championships - STAR 7. Competed at the Skate Ontario STARSkate Championships - STAR 8 Women. Competed at the 2018 Skate Canada Challenge and 2018 Ontario Winter Games. Competed at 2018 Skate Canada Challenge. 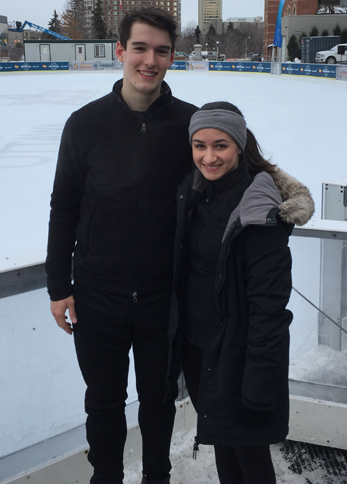 Competed at the 2018 National Skating Championships, 2018 Skate Canada Challenge and 3rd at 2018 Ontario Winter Games. Competed at 2018 Skate Canada Challenge and 2018 Canadian Tire National Championships - 7th.